I think we can all agree this year has been a bit of a write-off on many fronts, the one ever reliable constant being music. Despite the losses of icons, innovators and quite simply some of the best that have ever lived this year, the future is looking very bright. 2016 hasn’t excelled on many fronts, but one it certainly has excelled on has been emerging music. There’s been a steady flow of new music releases lining the pages of blogs and zines alike, if anything growing in amount month by month, culminating in an autumn haven of new goodness primed and ready for Getintothis Jukebox, oh aye. Kicking things off with quite simply one of the most wacked-out, but seriously tight and addictive tracks to ever grace this Jukebox. Two years on from their last record Aa are back with a new full length out on Fire Talk this month. Single Trash Hits offers a teaser complete with weird electronics, addictive beats patterns and trance-like drum pummeling. Absolutely insane. Now for a band from John O’Groats with a fair few Mersey ties, Neon Waltz. Wirral band The Coral are big fans, they’ve been recording in Liverpool and have played the main stage at Liverpool Sound City two years running. Locking themselves away recording hard has been frequent this year and the first result is new single Dreamers. Their most polished and anthemic cut yet. Bryde’s stunning new track Transparent completed her brand new record EP2 in stunning fashion with an inviting warm embrace. Featuring Bryde doing what she’s done so well many times before, effortlessly alternating between soft and powerful vocal tones over bold cinematic instrumentals. Quite stunning. Estrons are known for 100 mph punk-rock, raging guitars and ultimate breathlessness. Call You Mine, a track that wraps up their new EP, She’s Here Now, drops a jaw or two, as the speedometer takes a shuffle backwards. Swagger replaces sweat, it’s a jog rather than a sprint, don’t worry though it’s full of bite and if you came for the usual sweat-fest, the closing sequence might just suffice for a minor forehead wipe. JAGARA have chanelled the soundtrack of Channel 4’s critically acclaimed Deutschland 83 on experimental synth-throb Let Me Go. It like the series it’s influenced by, is rather great. Majestic 80’s synth waves and pure nostalgia. Oh yes. Brightoners Palm Honey simply just drop bangers. The latest, Stick The Knife In boasts everything from out right rocking out to blissed out psych – more, more, more. South-coast four-piece Sad Palace have shared debut single Rainbow Melt, a raw snarler with emphatic riffs and a serious stomp of intent. Coming in at just 1 minute 22 seconds, Sneaks’ new track True Killer taken from album Gymnastics is easily the shortest track ever featured on our Jukebox. There’s something really irresistible about its bopping bassline-driven, minimalist rhythm that you just can’t get away from. Squidgenini is a find and a half, maybe even one for the Getintothis Jukebox H.O.F years down the line. Hailing from Melbourne, she’s stayed well and truly under our English radar so far. Smokey haze-filled throb Fire is sure to be flashing up on radar screens worldwide in no time, it’s addictive, you just can’t get enough. Bella Union‘ers The Beat Escape have shared an addictive 80’s infused b-side from their debut single. The Montreal duo’s gloomy synth-throb Half Empty Happiness is pretty reminiscent of our Factory Records days, sound the nostalgia alarm. Hazel English creates music for dreamers and their dreams. Sweet, sweet love. Her new track Make It Better does exactly what it says on the tin. It’s grabbed 2016, stared it right in the eyes and made it a tiny bit better. A calming influence, absolutely lovely. Raucous Glasgow newcomer Lucia Fontaine is full of bite and futuristic riot pop ideas. Her addictive new number When I Think Of You is pretty killer and bags plenty of attitude. One to to watch and certainly catch live. Roxanne de Bastion’s Run is a track that should quite simply adorn every playlist in the land. It’s charms beautifully slip into your ears, drift around blissfully and dance back out again, gently closing the door behind. Melodic majesty. Sampa The Great’s latest statement Mona Lisa is her best yet, organic and experimental exploration, delivery an inspiring message to young women about not catering to the belief that women must compromise her integrity in pursuit of stardom. Described by many as a hugely underated DJ and selector with the power to tell a story and change a mood in an instant. Or:la has recently joined the roster of Hot Flush and released debut “12” UK Lonely, off-kilter punches yet strangely elegant. Press play. Meandering sax melodies, an old school throb and soft percussive layers. The title-track taken from Seb Wildblood’s self-released EP. The truly wonderful, Everybody Looks Good At The Restaurant. Brightoners Clay have unleashed a unstoppable indie-pop giant in the form of newbie 6AM, irresistible and a worthy adversary of the repeat button. Now for a throwback, Lucky Beaches soundtracks from L.A via Liverpool and oozes Mersey bygone era charm on single Go It Alone. It’s a waltzing pop-craft dripping with lovable melody. Lovely stuff, do come back and see us again in sunny Liverpool, Sir, we don’t bite. Idle Frets are an ideal indie-rock-pop cocktail to wake you from mid autumnal slumber. That was clearly on their minds when Glow was penned, raucous guitars drive forwards and dance sideways, an array of guitar-pop leaps and dives. Hats off to the line: “She smiles at me with her eyes/And they glow when I kiss her” – wonderful. Katie Stelmanis-led band Austra have a new album Future Politics out January 20 on Domino, their new track Utopia offers a lovely teaser of electro-pop goodness. You’ve got to love a bit of addictive avant-garde pop. You can listen to a handy playlist of all tracks featured in this month’s Getintothis Jukebox below. 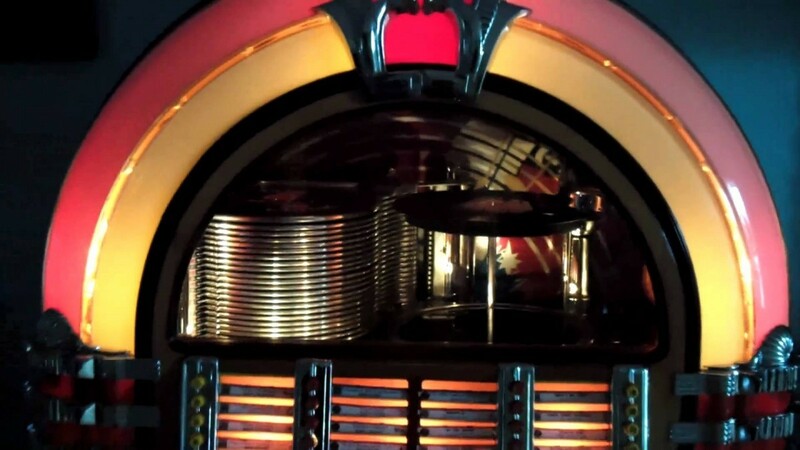 December’s Getintothis Jukebox will be a end of year special featuring a reflection on the year in music and a top 40 playlist of the best new music tracks of 2016.